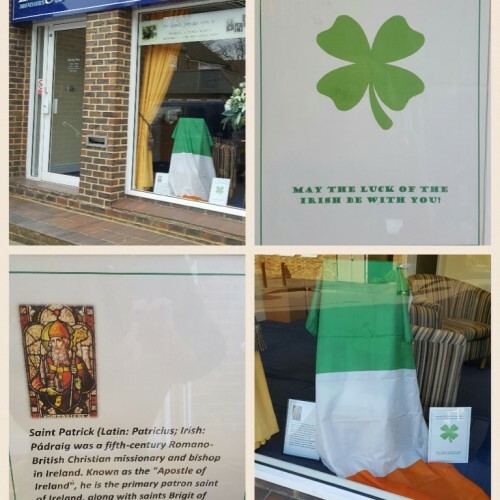 Lodge Brothers of Cobham celebrated St Patrick’s Day last weekend remembering past clients & families with a Irish origin. Lodge Brothers ensure they respect the multi-cultural communities they serve by hanging flags or creating full window displays on as many public holidays as possible. This has become a recognised event in the local community and locals now look out for the change of the window displays and often call in and pass on their appreciation.